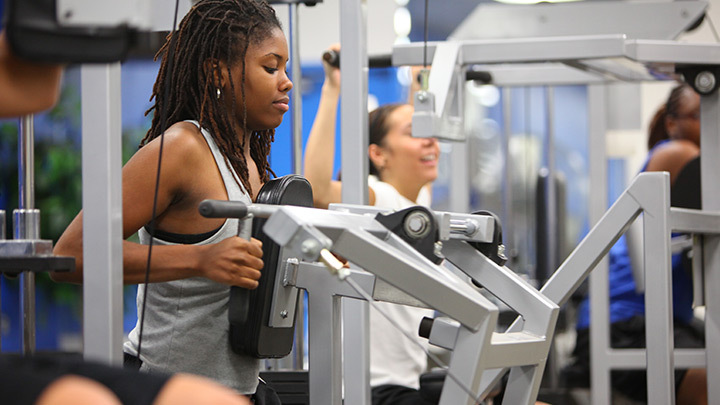 SMCC offers training in several different types of health and wellness programs. 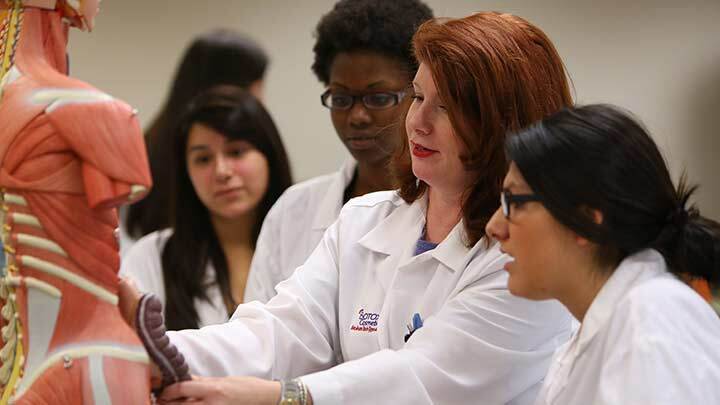 The award-winning Bilingual Nursing Fellowship Program (BNFP) prepares individuals fluent in both English and Spanish to pursue advanced training and jobs in the healthcare field. The college also offers training in the Behavioral Health field as well as in Recovery Support, while our Pharmacy Customer Service program prepares you for pharmaceutical work at the retail level. Classes emphasize practical training and service learning. Follow the links on the right for more details about all of these. Healthcare is booming. According to the Bureau of Labor Statistics and the predictions of most labor market experts, the need for healthcare services will expand considerably in the decade ahead. Even as researchers develop treatments for a range of diseases, no one’s found a cure for the common cold or the health problems that come with age. And as a huge tide of baby boomers approach retirement, the current healthcare infrastructure is likely to be pushed to its limits, possibly even overburdened. Right now, healthcare jobs are on the rise. But in the near future, employers may be scrambling to find enough employees to fill a glut of open positions. Healthcare career options are varied. You may be interested in pursuing the advanced training required to become a cardiothoracic surgeon. Or you may be looking for a less intense office-oriented position that requires only an Associate’s degree. You may prefer working in a clinical setting with direct access to patients, or you may be interested in medical billing, administration or sales. Healthcare offers a variety of positions that appeal to almost all working styles, personalities and areas of interest. As long as you like helping people, this field is for you. Healthcare is stable. People will always be vulnerable to injury and illness, so healthcare skills will continue to be marketable, valuable and transferable. Right now, some of the most flexible healthcare careers include those of nurses, nurse practitioners, radiologists, physical therapists and physician’s assistants. Those involved in social work are also in high demand, and the skills gained in social work positions can easily transfer into other fields related to public administration, law and education. Healthcare is rewarding. Every job is important, and every profession has a place in the world as long as it’s honest. But healthcare stands in a class by itself. There are few career options that allow such immediate impact on the lives of those in real need. Think about a nurse operating in the ER, or a radiologist detecting a cancer mass early enough to save a patient’s life. Every decision in the healthcare field directly affects patients and those who love them. Healthcare can be intense, but many who enter this field consider it the best decision they ever made – and their patients and clients agree.